To open this Blog, I want to introduce to people one of my favourite movies « The Last Valley » (1971) which is one of the very fascinating films ever made. 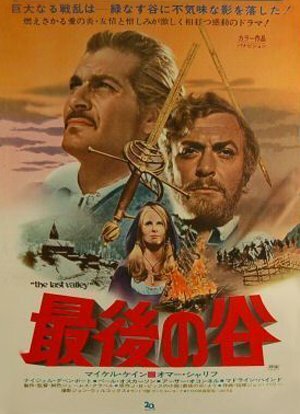 It was directed and produced by the famous and brilliant novelist screenwriter James Clavell (Shogun, Nobel, House, Taï Pan… The Great Escape, King Rat). “The last Valley” was his 5th movie as a director. The Story takes places in Germany in 1641, during one of the most cruel war in Europe : “The Thirty Years’ War” (1618/1648). Few directors treated this unknown and tragic historic period and that’s the reason why, in my opinion, this film is unique. I envy those who haven’t yet seen it. 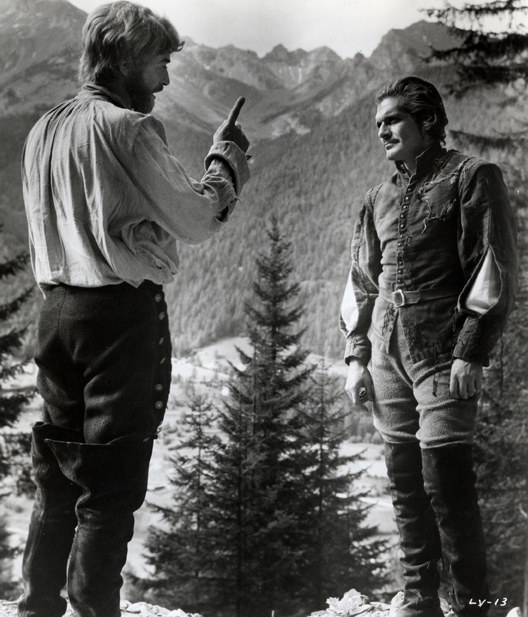 The film was shot in the Austrian Tyrol and at Shepperton Studios in 1969, with a first-class casting including Sir Michael Caine and Omar Sharif as the two leading roles. 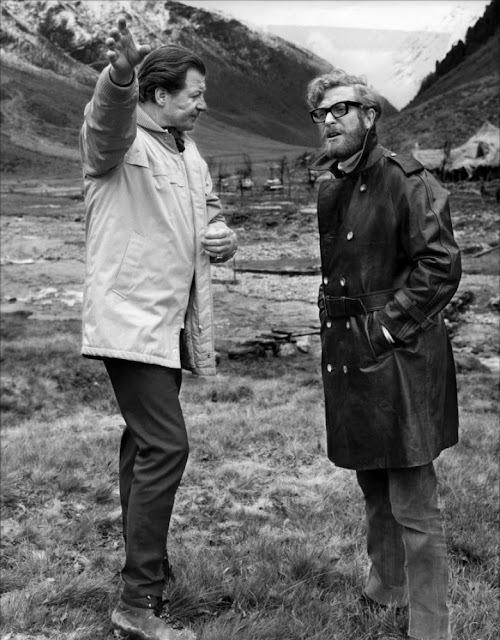 In his biography (“What’s it all about ?”), Sir Michael Caine points out that it was a very hard and complex character to play. 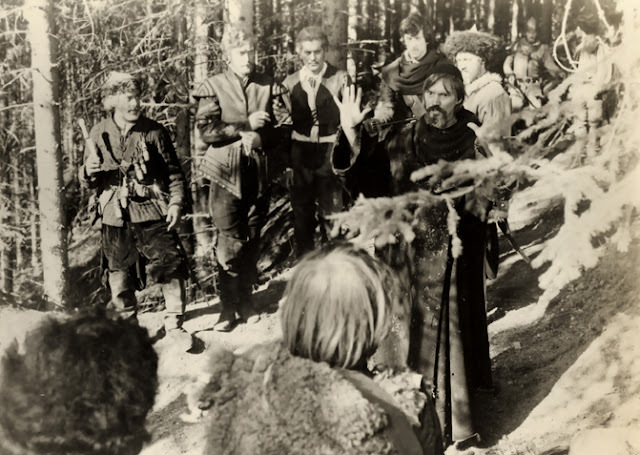 However, he keeps a very good memory of the movie which unfortunately did not meet the favour of critics and of the audience. It is probably one of his most amazing and surprising performance. 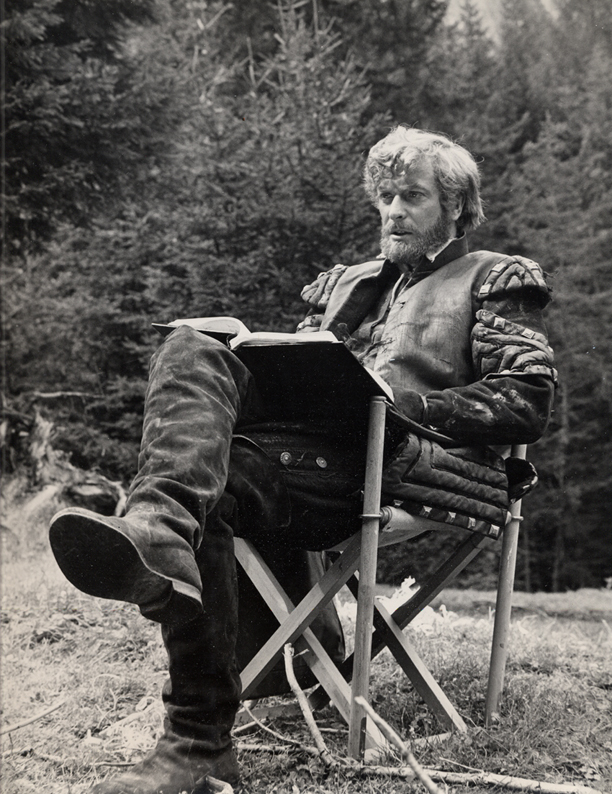 As to me, I regard it as his best part with his part for John Huston’s The man who would be king (1975). The magnificent Egyptian actor, Omar Sharif, also gave a very fine performance together with his part in John Frankenheimer’s The Horsemen” (1971), in which he portrayed one of his most astonishing characters. 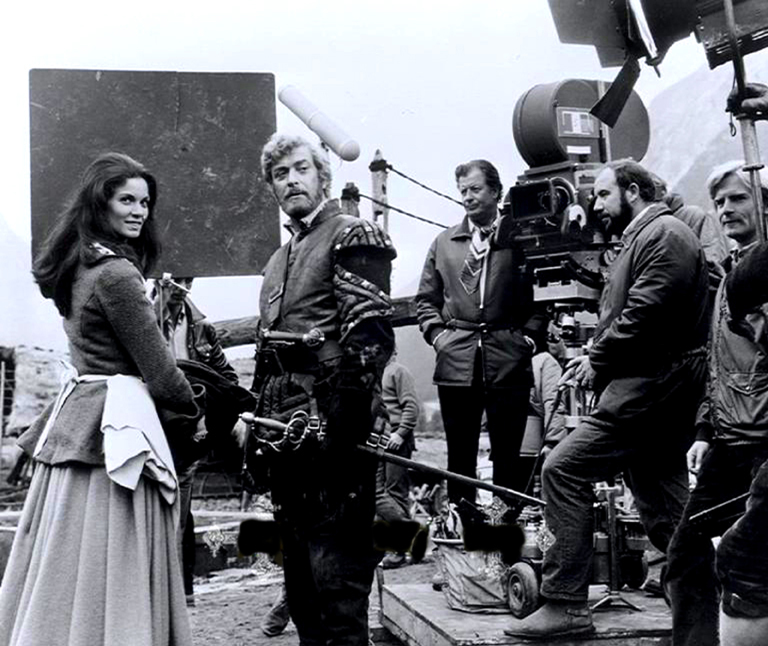 The Brazilian star Florinda Bolkan played the enigmatic and gorgeous part of Erica who felt in love with the captain. Two other charismatic actors complete the cast, Nigel Davenport as Gruber, the village leader and Peer Oscarsson as the village priest. Also, special mentions must be given to Arthur O’ Connel, Madeline Hinde and Michael Gothard. 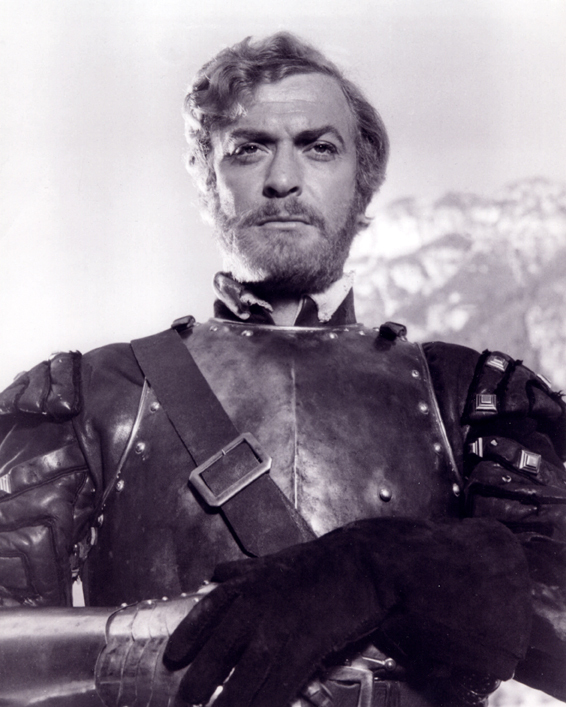 The cleaver novelist-director-producer, James Clavell had the good taste to request the talented John Barry to write the musical score. For this movie, the prolific musician composed a solid score for a large symphonic orchestra and chorus. 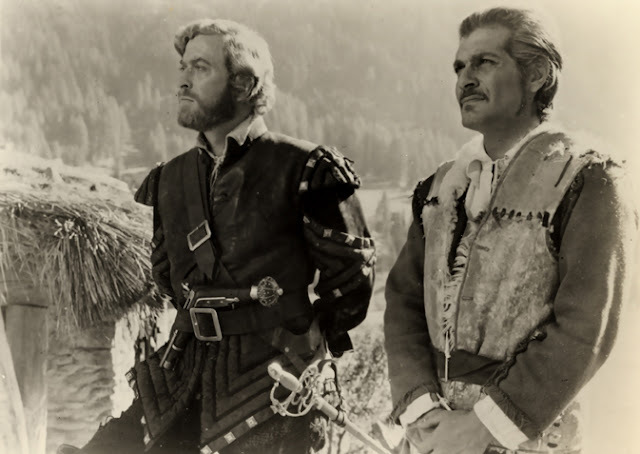 Like for “The Lion in winter” (1968), the successful songwriter Don Black joined him. 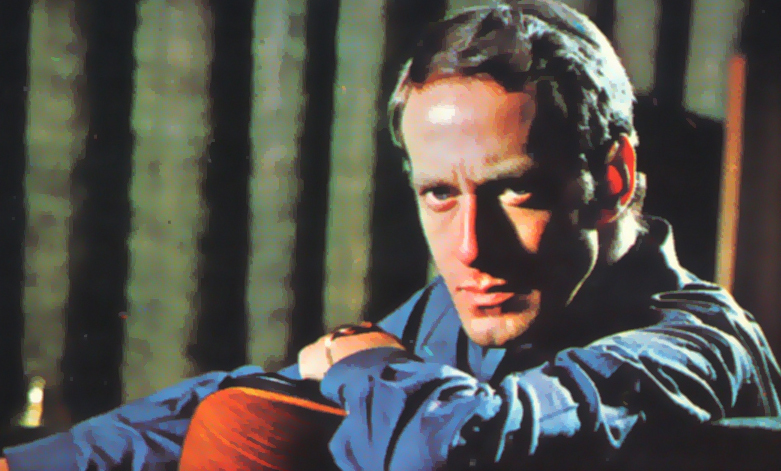 It is probably one John Barry’s most popular soundtracks, even after forty years with many rerecording albums, although the movie has been forgotten for a long time now. 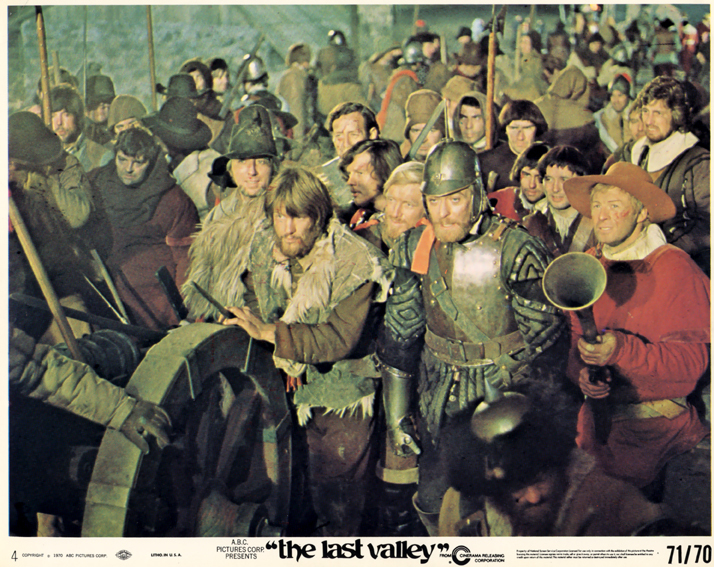 This spectacular movie was shot in wide screen Todd Ao 70mm stereophonic sound by two great Cinematographers Norman Warwick and John Wilcox. 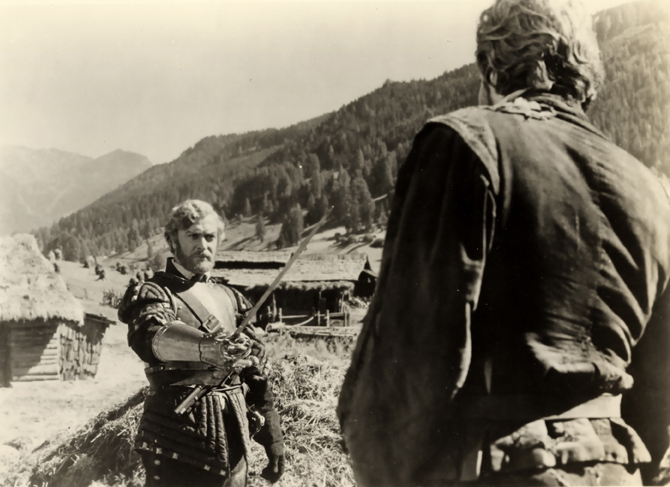 Some rumours say that the 70mm copies are lost and that prints in 35 mm monophonic sound are only available. Let us hope that someday, this movie will be restored. 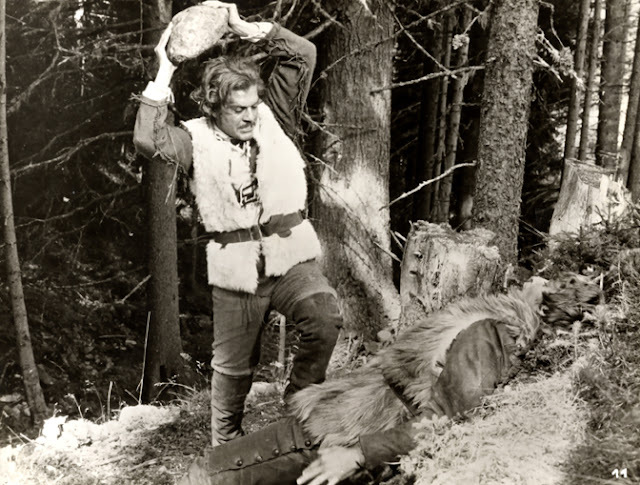 How to explain that this movie did not work in 1970 ? 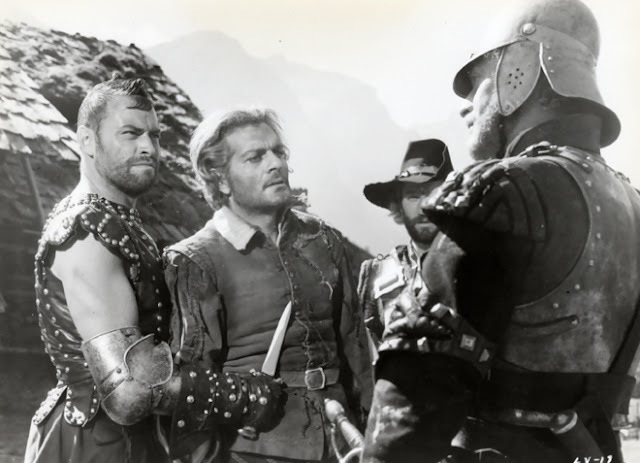 I think, it is because of the subject confused the audience who wasn’t ready to see a standard medieval epic story which told the complicated political and religious conflicts which took place in Europe around the 17th century. It is likely that most people were not aware of these wars. Secondly, all the protagonists are in one way or another, too ambiguous because they are not fully good or evil with the only care to survive in a hopeless world without any morality. 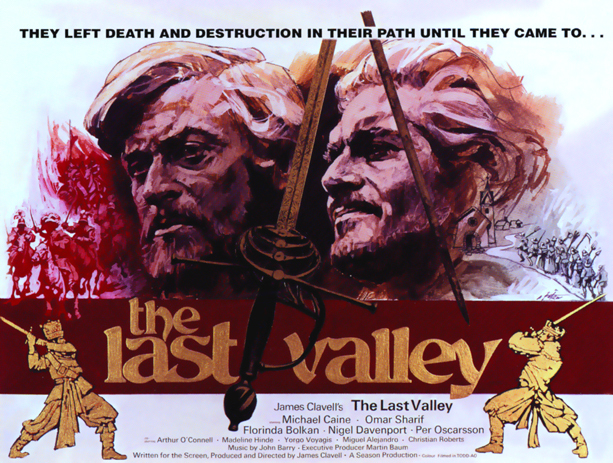 However, “The Last Valley” is a humanist masterpiece which explores two recurrent obsessions of the human nature : “ The longing for peace and the compulsion to violence”. 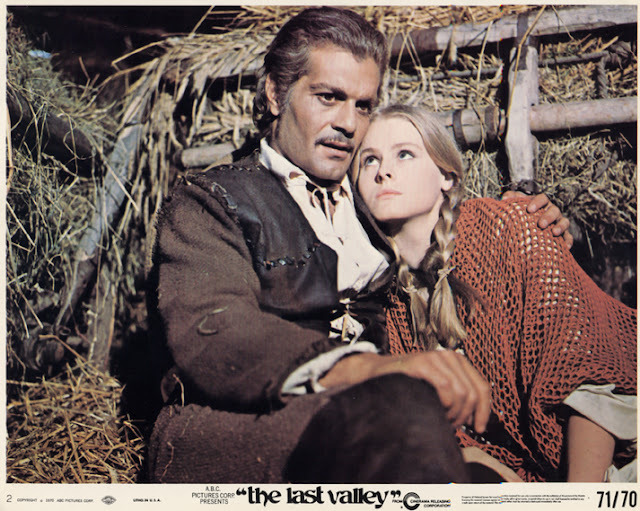 But especially to me, this movie remains a lyric cinematographic poem which warms us against religious fanaticism and its tragic consequences. Of course, I would be very pleased to hear from other people regarding this great movie. “The Truth is that the old ways won’t keep you safe anymore. 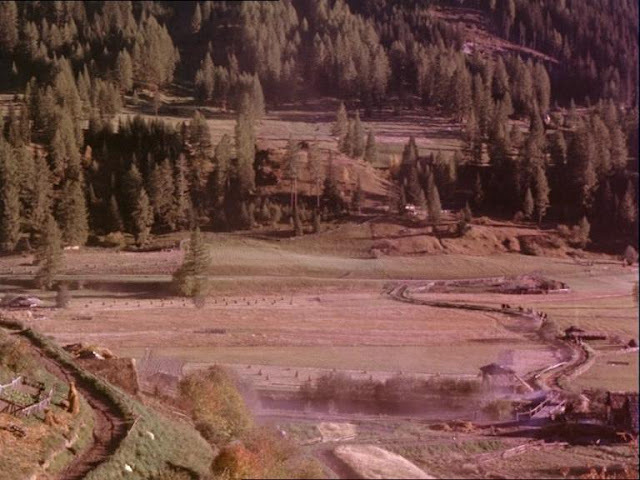 Vogel in “The Last Valley”. “The Fat Valley” by J.B. Pick, Novel, 1959, Arco Publications (UK). 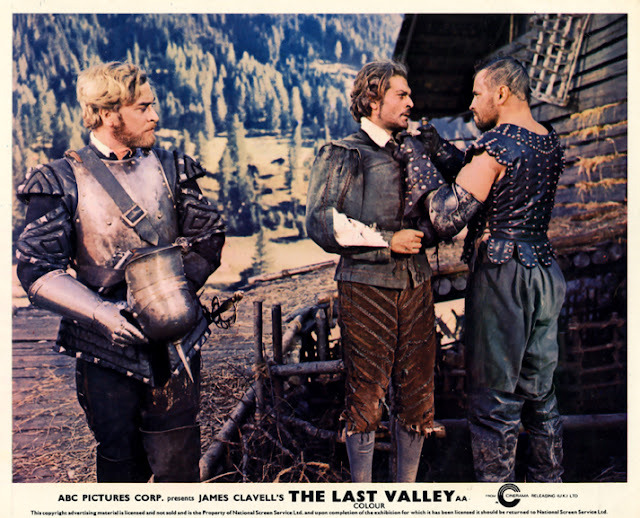 “The Last Valley” by J.B. Pick, Novel, 1970, First Sphere Books Edition (UK). 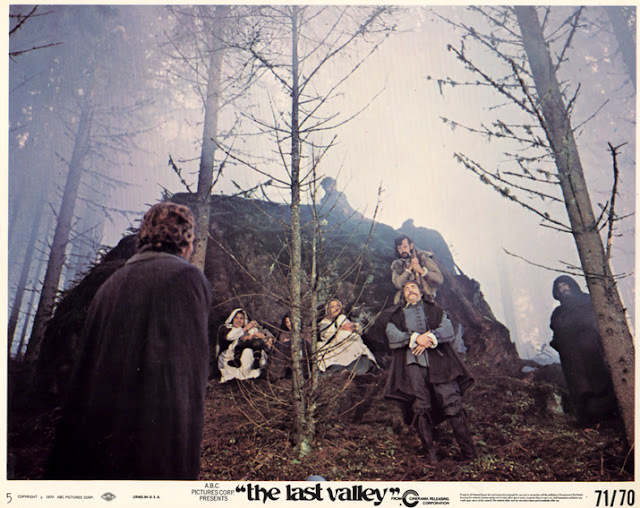 “The Last Valley”, Souvenir Book, 1971, ackville Smeets Limited Welbeck Way, London (UK), Copyright ABC Picture Corp.
“The Last Valley”, Press Books (UK / 20 pages) and (US / 18 pages), 1971, Copyright ABC Picture Corp.
“The Last Valley”, Flyer (US / 4 pages), 1971, Copyright ABC Picture Corp.
“What Is all About ?” by Michael Caine (In English), 1992, Turtle By Books, USA. “Michael Caine : The Elephant to Hollywood” by Michael Caine (In English), 2011, Hodder & Stoughton, UK. “Sir Michael Caine : The Autobiography” by William Hall (In English), 2007, Metro / John Blake Publishing, UK. 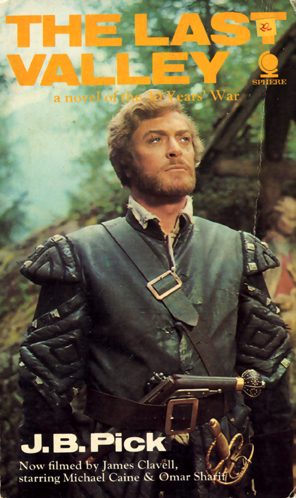 “Michael Caine : A Class Act” by Christopher Bray (In English), 2006, Faber and Faber, UK. “John Barry : A Life in Music” by Geoff Leonard, Peter Walker and Gareth Bramley (in English) ; 1998 ; Samsom & Compagny, UK. “John Barry : A Sixties Themes” by Eddi Fiegel (in English) ; 1998 ; Constable & Compagny ltd, UK. 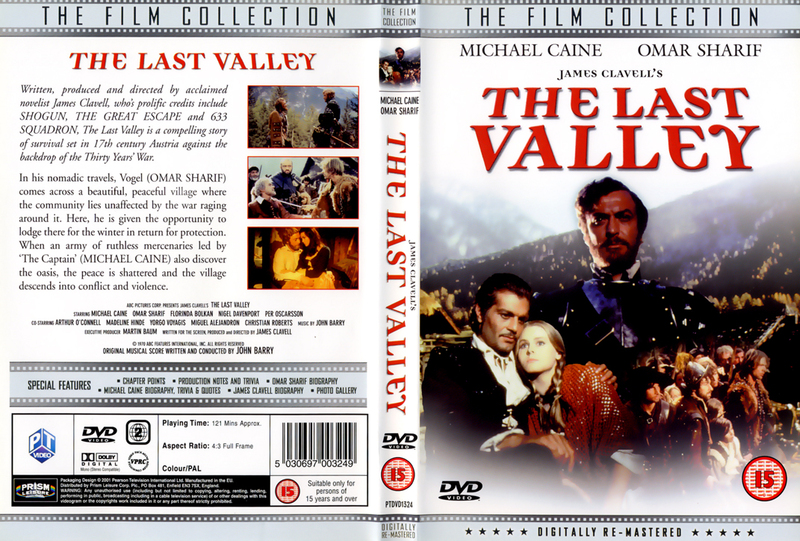 “The Last Valley” by James Clavell , 1971 / 1999, Anchor Bay Entertainment, US DVD Zone 1, Ref.N°DV10984, Widescreen Edition, NTSC, 2.20:1. 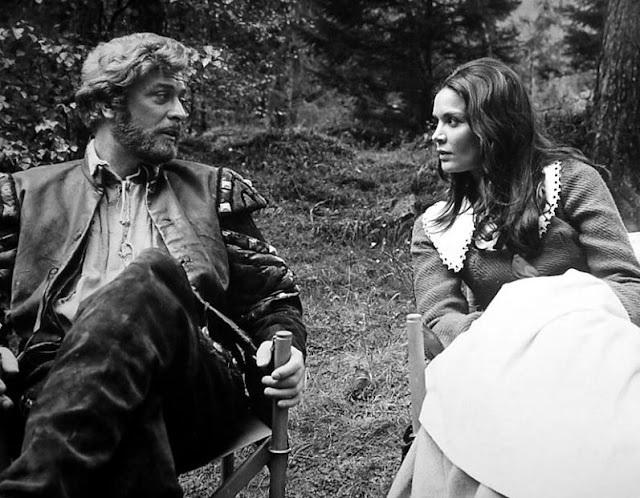 Language : English (Dolby Digital 2.0 Mono). 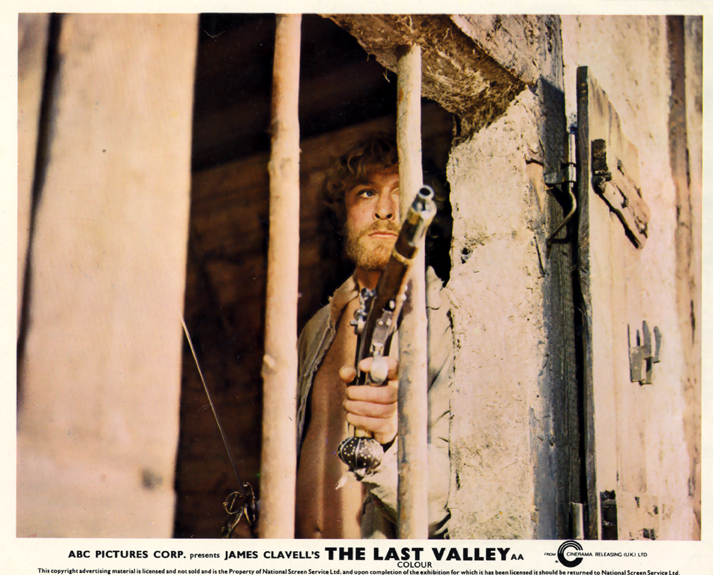 “The Last Valley” by James Clavell , 1971 / 2004, MGM Home Entertainment, US DVD Zone 1, Ref.N°1006382, Widescreen Edition, NTSC, 2.35:1. Languages : English (Dolby Digital 2.0 Mono), English, French and Spanish Subtitles. 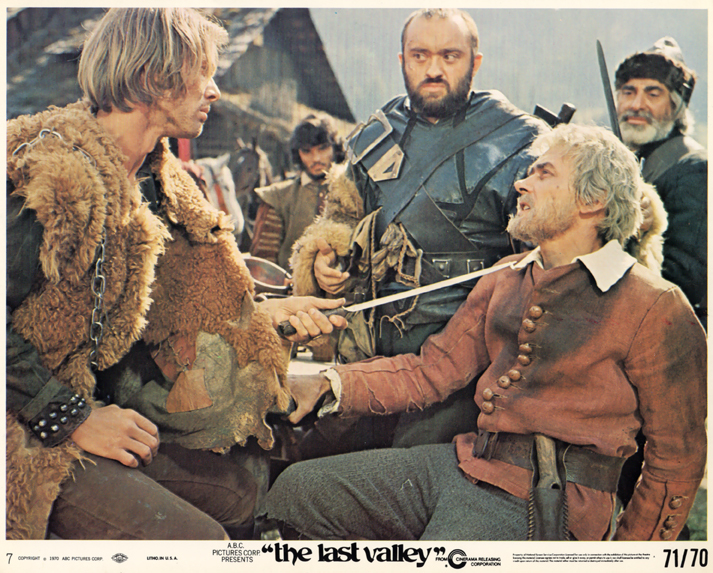 “The Last Valley” by James Clavell, 1971 / 2001, “The Film Collection” - Pearson Television International, UK DVD Zone 2, Ref N°VFC 22989, Full Screen Edition, Pal, 1.33.1. Languages : English (Dolby Digital 2.0 Mono). (Special Features : “Chapter Points ; Production Notes and Trivia ; James Clavell, Michael Caine and Omar Sharif Biography ; Trivia and Quotes ; Photo Gallery”). “The Last Valley" by John Barry, 1971, Dunhill Records, Ref N°DSX 50102 , Stereo, USA (http://www.discogs.com/John-Barry-The-Last-Valley-Original-Motion-Picture-Soundtrack/release/2873520). “The Last Valley" by John Barry, 1971, Probe Record, Ref. N°SPB 1027, Stereo, UK. “The Last Valley / Das Vergessen Tal” by John Barry ;1971 / 1998 ; Ticker Tape - Ref N°tt3003. 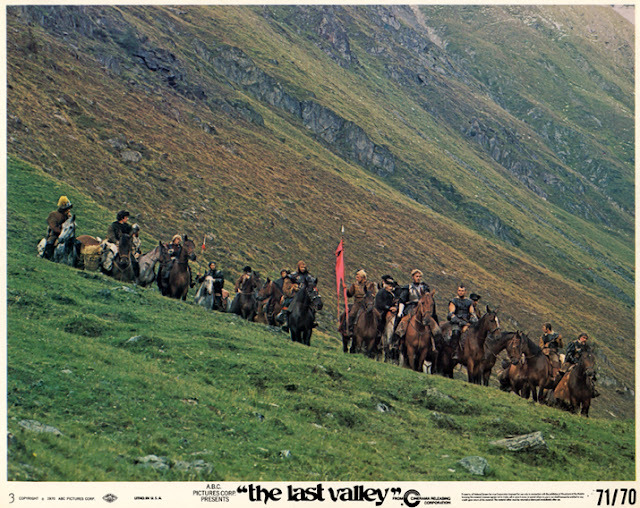 “The Last Valley” by John Barry ; 2001 ; Silva Screen Records, Ltd (FILMCD 355) ; Conducted by Nic Raine and performed by The City of Prague Philharmonic Orchestra (http://www.soundtrack.net/albums/database/?id=2856).